When your dentist at O.C. Dental Specialists tells you that you need root canal treatment, you may assume that means you need to have surgery. That isn’t always the case. In fact, your dentist can typically complete an exam and the root canal procedure in a single appointment. Unlike stories you may have head about painful root canals in the past, most patients experience little to no pain with this procedure in the modern era. The reason you don’t feel pain is that your dentist numbs the tooth and the area surrounding it before starting any work. For the next step, he uses a dental instrument to extract the bacteria or decayed tissue from inside of the canal of your tooth. To prevent the infection from worsening or spreading, your dentist cleans the tooth from the inside. He completes the procedure by placing a crown over the tooth to protect it while it heals. You remain awake and comfortable the entire time. 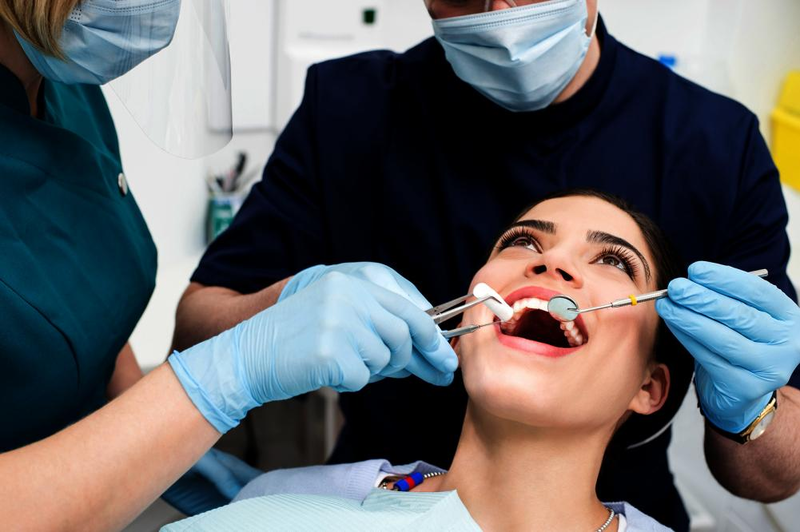 A root canal is a common and quick dental procedure that does not require invasive cutting like wisdom tooth removal, oral tumor removal, dental implants, and other types of treatment performed by an endodontist. However, you’re in good hands if you ever do need oral surgery. O.C. Dental Specialists employs a team of oral and maxillofacial surgeons with the necessary expertise to diagnose and treat a wide range of oral health problems. Dentists in this specialty complete up to six years of additional training. If you need oral surgery, your dentist will explain the reason for the recommendation as well as what you can expect during and after the procedure. Feel free to contact us at any time with questions about root canals or a specific type of oral surgery that you may need.